ROBOTS! zzzzaaap R0b0Ts! 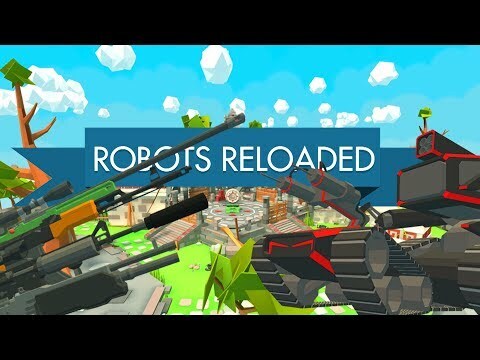 bzzzt r0b0t51…Defeat the machines in true style in this NEW colorful FPS from Fourpointfive Interactive! • UPGRADE and CUSTOMIZE 18 different weapons!• EXPLORE different MAPS, GAMEMODES and ENEMIES!• UNLOCK the most POWERFUL weapons including SNIPERS!• Experience USABLE and RESPONSIVE controls for once!• Create an account to save your progress!• Please take care of the penguin, he’s been through enough…The ROBOTS are closing in! Should you upgrade your PISTOL with your earned credits or should you unlock that shiny new SHOTGUN?Maybe you should go for an SMG instead and put a SNIPER scope on it? That might finally enable you to SAVE the DROID from getting compromised in that MAZE… Piece of cake? Try your hand at surviving on the SOUTHPOLE or in the DARK FOREST with that brand new ASSAULT RIFLE you just got! Will you stand or fall under the pressure of the ROBOTS?